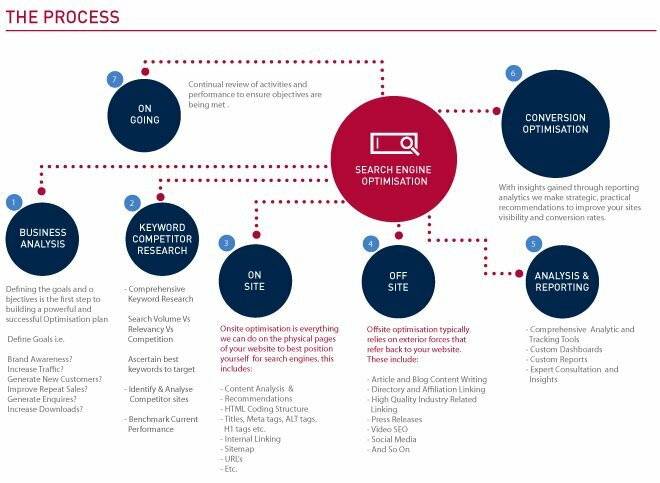 A website that fails to adopt effective SEO values is the equivalent of a high street shop that fails to turn its lights on. SEO is all about visibility. We know how important this is to our clients. We provide a clear and tailor made SEO package which maximises the amount of page views our clients receive. Being highly ranked on search engines guarantees higher volumes of page hits. 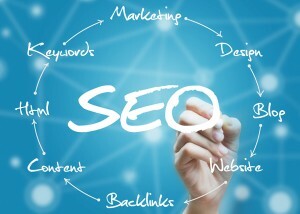 By using keyword techniques, link building and page optimisation both on-page and off-page, our SEO package will become key to your online business. Information on what we offer as part of our on-page SEO services can be found in this link. Our SEO and SMO services package which we do on a monthly basis to boost your business sales/services are shown below. We are specialised in Web Design and SEO and we allocate a dedicated SEO Developer to do all the above features for your website and will send you an initial SEO status, sample shown Sample Initial SEO Report, followed by SEO reports every fortnight Sample Fortnight Reports , NOTE: please check all the 14 tabs on the sample spreadsheet which shows the SEO update for your website every 15 days. Once SEO service is setup for your website, your business sales/services will be boosted because we will bring your website into the top position in google for your main focus keywords. As a result your customers will find your business very easily and subscribe to your services or buy your products. Please fill the form below to get the quote for the price per month to get the above SEO package for your business.